THREE MORE BUS routes are to be privatised and operated by Go-Ahead Ireland instead of Dublin Bus from Sunday onwards. Routes 18, 76 and 76a will now switch to the private operator, which has already taken over the operation of 24 bus routes in Dublin. The National Transport Authority (NTA) has said passengers on these routes “will see immediate improvements in frequency and service levels”. 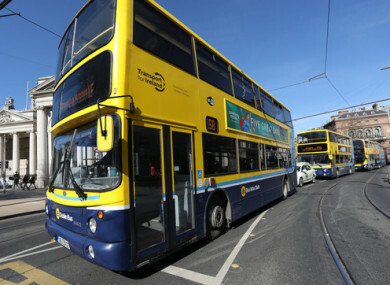 In 2017, Go-Ahead Ireland won a contract to operate 10% of routes previously operated by Dublin Bus, primarily in the outer Dublin metropolitan area. The NTA has said there will be no changes to fares or tickets for the three routes but that commuters are advised to check timetables and frequency before travelling as these may be altered. Email “Three Dublin Bus routes to be operated by Go-Ahead from Sunday ”. Feedback on “Three Dublin Bus routes to be operated by Go-Ahead from Sunday ”.